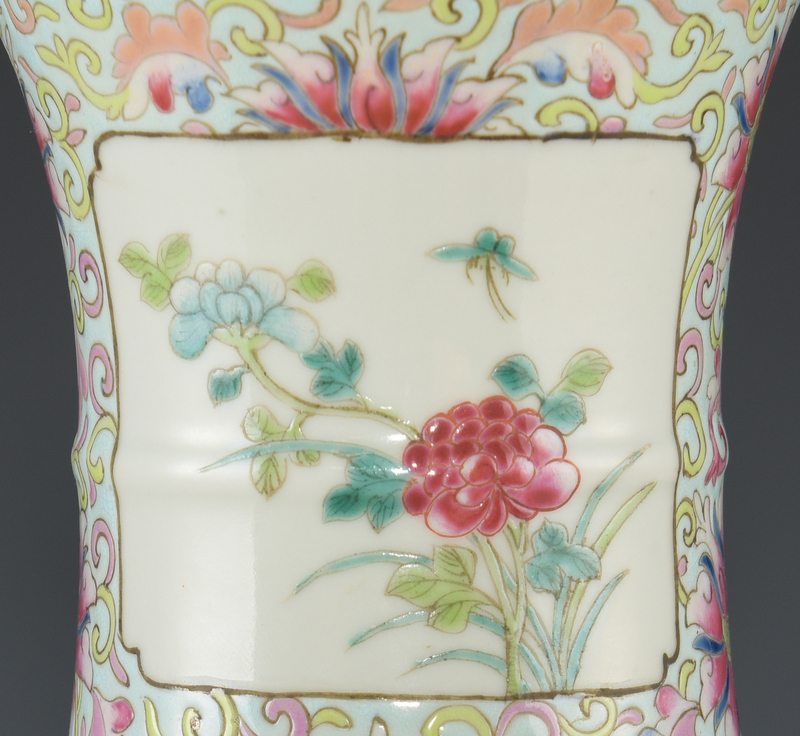 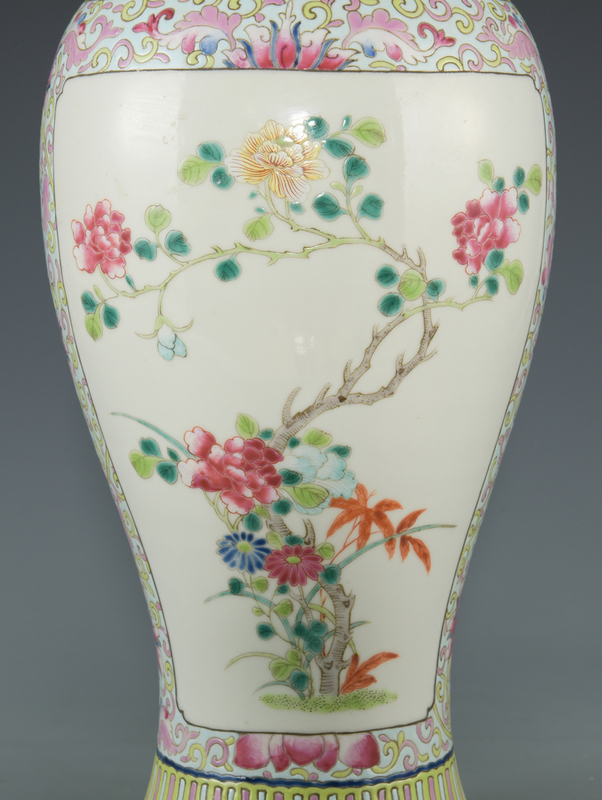 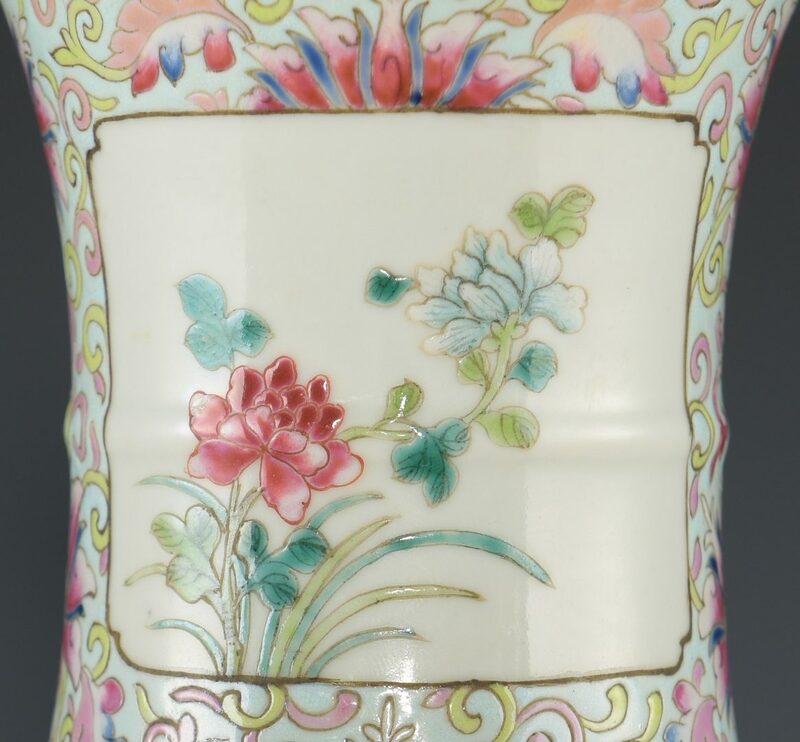 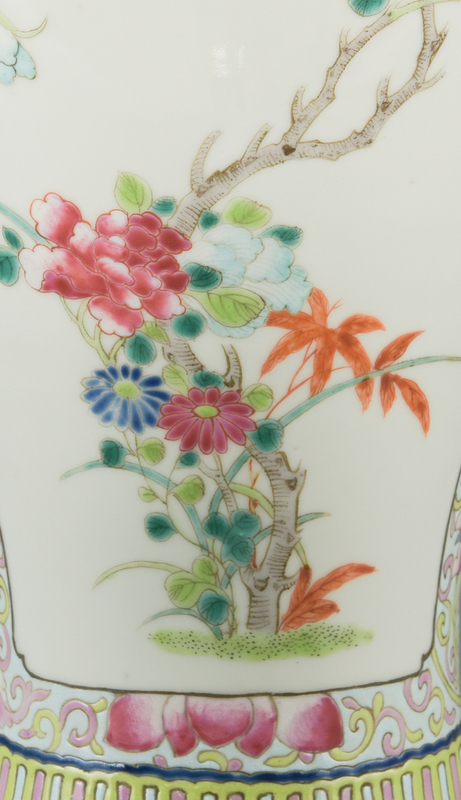 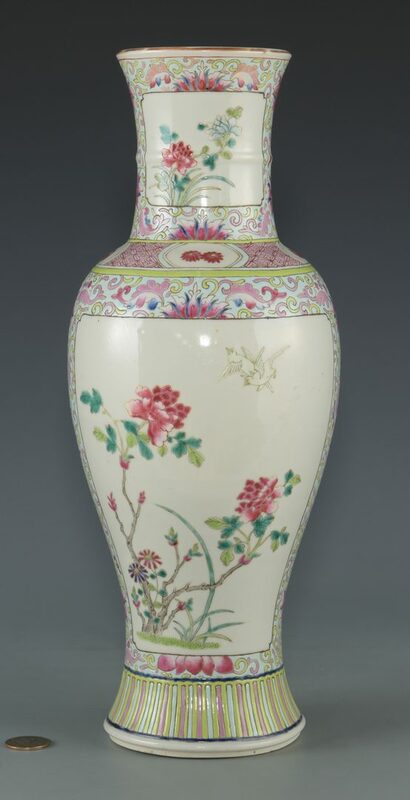 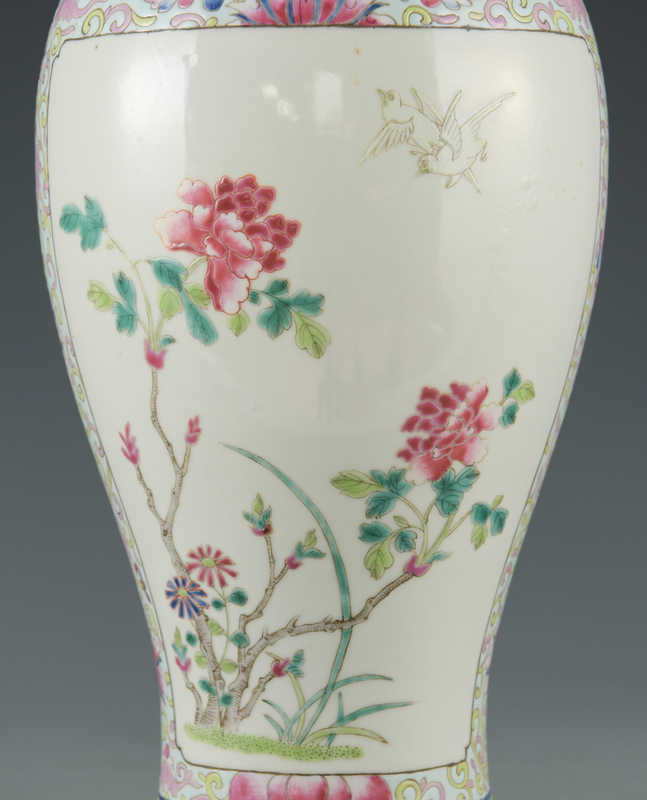 Chinese Fencai enameled porcelain vase, tapered baluster form with slightly flared rim and ribbed collar, having reserve panels with polychrome enamel flowering branch with bird and insect decoration to the neck and body. 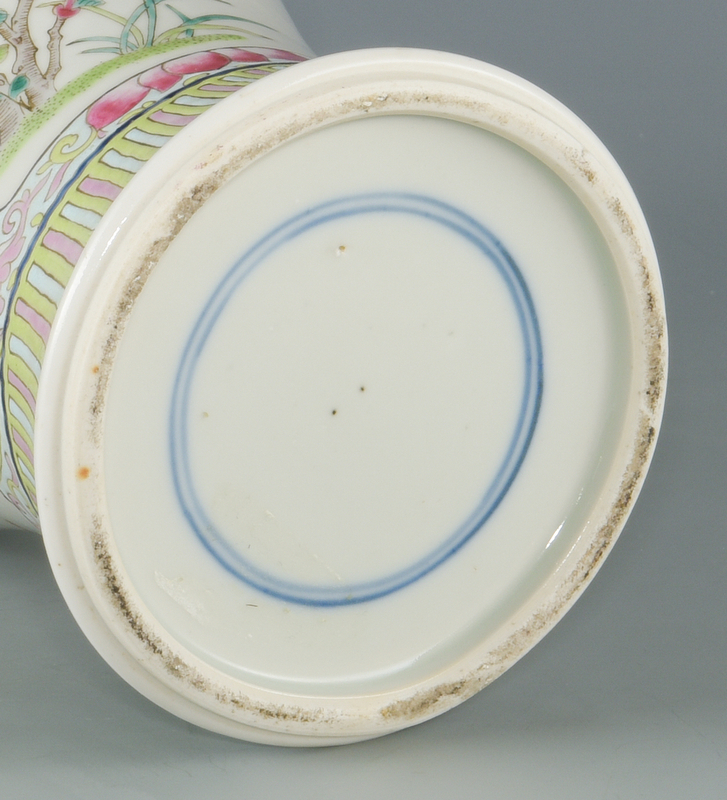 Blue double concentric ring marks to base. 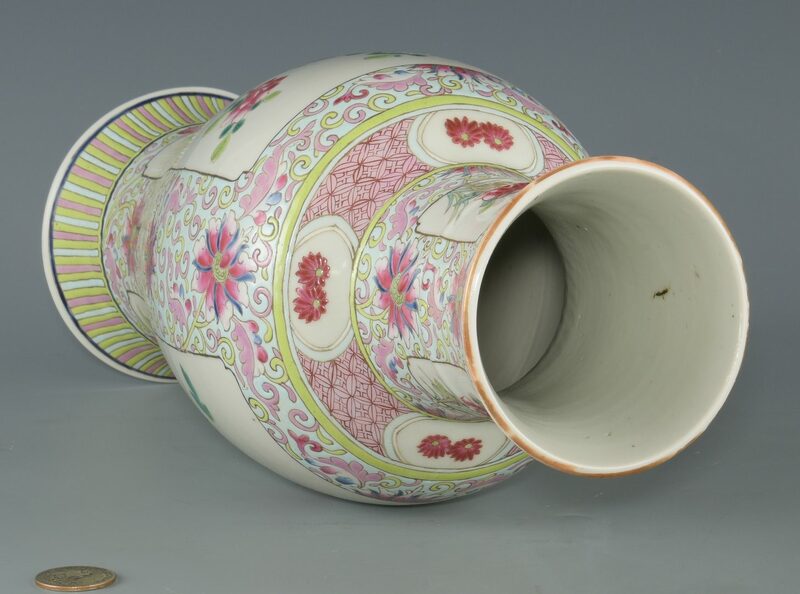 24 1/4" H. Mid-Qing Dynasty. Provenance: Private Knoxville, TN collection. 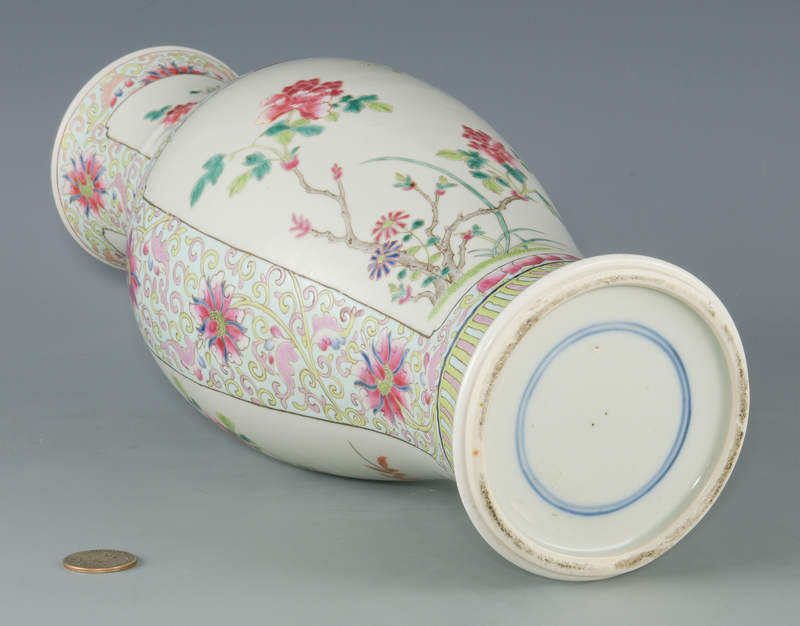 CONDITION: Slight wear to gilt on rim, otherwise excellent condition.